Last year Nirvana released the auto-flowering variety and this year sees the birth of Lemon OG Haze. they took a bulging Lemon OG father and pollinated her with one of their classics, the Haze 1 and created the Lemon OG Haze. The result is spectacular; a massive yielding, highly resinous and flavorful strain. She has a midgreen color with the typical sativa leaves; widely set apart, narrow and serrated. 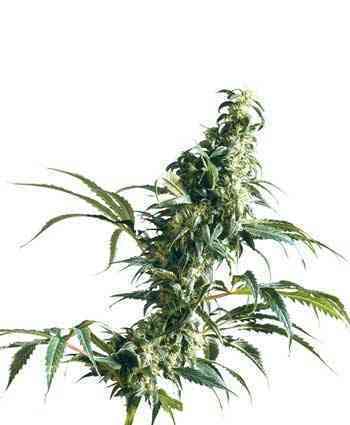 Lemon OG Haze’s stature is also very much that of a sativa; tall, widely branched and with large inter-nodal spacing. 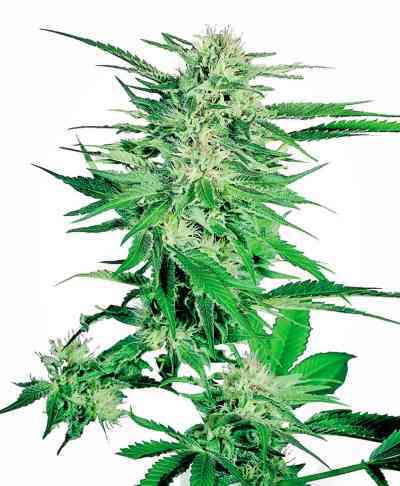 The main cola has a large candle-shaped shape and is also clearly Sativa influenced. The plant is covered with smaller side-buds from top to bottom. Both aroma and taste are clearly influenced by the Las Vegas Lemon Skunk genes; a fruity, spicy aroma. The taste is that of lemon-zest and pineapple. The high is a wonderfully delicately balanced body and activating high.